Their online activity logs contain huge information for different sectors. But extracting information from these logs is not an easy task. Experts who can do so call themselves "Data Scientists or Business Analysts". Data Analytics, Data Science, Big Data. These are not just buzzwords these days but catalysts in growing businesses. In the current era, social networking has become an important part of our life, where an exponentially increasing number of users shop, post messages, tweet and surf. Their online activity logs contain huge information for different sectors. But extracting information from these logs is not an easy task. Experts who can do so call themselves "Data Scientists or Business Analysts". These professionals possess sound knowledge of Mathematics, Statistics and Computer Science. These data scientists not only analyse the existing data for finding facts and figures but also predict and forecast. The biggest challenge lies not only in analysing the existing data but pre-processing. Sometimes the data available at disposal may not be authentic, so catching the correct characteristics of it is quite challenging and exciting for which the supporting role is played by many types of tools and applications that have emerged in the last few years. To become a data scientist, the aspirants need to have expertise in data science and analytics-related tools such as R, SAS, Python, SPSS, etc, along with a sound understanding of statistics. One should also have knowledge of machine learning and predictive modelling. Most of the sources in today's web-dominated era generate unstructured data, which may contain many imperfections such as inconsistent string formatting, missing values and wrongly spelt words. These data scientists have huge potential and may act as business model changer. Many companies these days are heavily dependent on their research and analysis departments for key business inputs. Even some of these are striving to get quality data analysts. 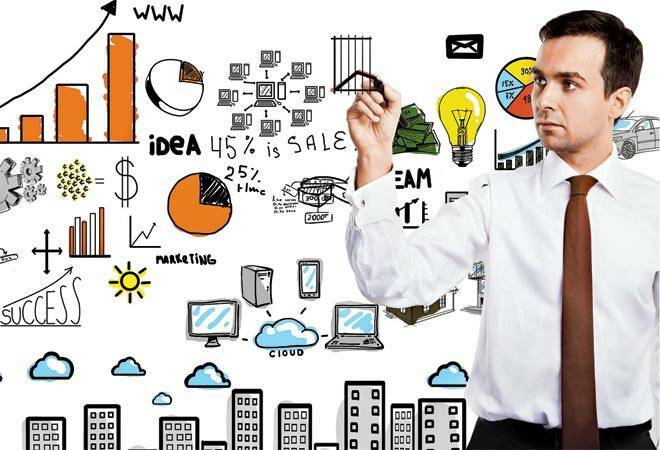 In digital India where the number of start-ups is increasing rapidly and young entrepreneurs are being promoted by government too, data scientists may give most important directions for start-ups and survival tips in this era of huge competition. Today no business house can take for granted a long-lasting monopoly. Even small start-ups may put big threat to giants, if they have analysed the market and pattern. Not only in business, data scientists/analysts are required everywhere. Say smart cities; where lots of activities, locations and automations are controlled by sensor devices and they send data to the central servers. The amount of data received is very large, and drawing information from it is not an easy task. Who will monitor these logs/data? It requires high-level expertise and skill set. Another technology that is evolving parallel to it is the "Big Data", which poses different kind of challenges. The traditional RDBMs (relational database management system) and DBMs (database management system) have also failed to provide solution, due to which HDFS, MangoDB and Neo4J like technologies have come up. From an engineer's point of view the whole set of challenges can be put into four categories; Implementation, Development, Administration and Analysis. These four roles are different from traditional roles and only an engineer with the skillset of a data analyst can perform them effectively. There is huge dearth of data scientists in the modern world. Their demand is increasing at a rapid rate. Keeping this demand in view, engineering universities like GD Goenka University have come up with specialised programmes such as B.Tech. in Computer Science & Engineering with specialisation in Business Analytics and Optimisation, and M.Sc in Big Data Analytics with the IT industry giant IBM as partner. Even the Central government, has identified the need and has started increasing the awareness among academia through its Department of Science & Technology (DST) which recently sponsored many faculty development programs on Big Data Analytics all over the country. A data scientist with an experience of four to five years can earn up to Rs 75 lakh a year in comparison to Rs 5-8 lakh for an engineer or Rs 8-15 lakh for CA. In the US a data scientist can earn $2,00,000 and above depending on experience and expertise. Even, if someone googles "data scientist salary", the figures shown are like dream figures and are very tempting. By choosing the right university where students can learn the right set of skills, one can be better prepared and grow at a better pace in the industry.